We were recently approached by the main contractor of a new build care home to develop architects drawings into a workable pair of bespoke radius bench seats. We decided on using Accoya wood for all of the timber elements in this project due to its outstanding durability and stability. 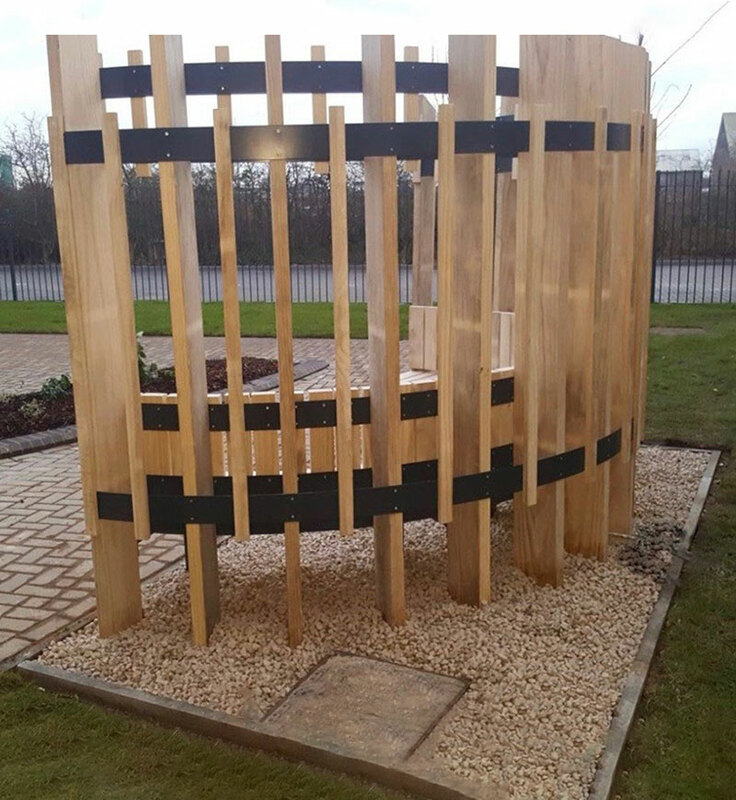 The design was developed around a bespoke rolled metal frame, which was manufactured and powder coated for us by Dmet, a Dudley-based metal fabrication specialist. The benches feature a high back with trellis tops, integrated backrests and free-draining seats. All of the Accoya wood elements are left untreated and will weather to a beautiful silver grey over a short period of time. The end results are a striking pair of feature benches that complement the new care home’s exterior and landscaped grounds. The benches are comfortable and maintenance-free. If you would like us to produce a one-off bench for your next project get in touch.